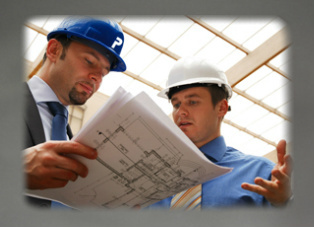 PERMATECH offers on and off site construction consulting with trained industry professionals. Our engineers, developers and quality specialist are on call as part of our Permatech Advantage program. Not only do we design and engineer your refractory product but we also help you with trouble shooting and implementation of new or existing projects. Permatech Maintenance and Technical Services are similar to those offered by other large project management and maintenance companies. Through engineering, onsite training, refractory supply and maintenance planning; Permatech is able to provide a complete range of services to your location. Our in-house team of design experts, and materials engineers are experienced in problem solving and systems improvement, providing significant savings to our customers via on-site assessments, technical support, installation and supervisory services. As the “first choice in refractory technology” Permatech has a myriad of solutions to meet virtually any requirement.For all your technical engineering needs: MMS / Technical support for pre-cast applications This representative is also available for regular scheduled on-site technical assessments and upon request for your trouble shooting and problem solving needs.